Hidden silver cross suggests religious tolerance of first Muslim caliphate in seventh century CE. A 160-gram brass weight found in archaeological excavations by the University of Haifa in the city of Susita reveals unique evidence - the first of its kind - of the delicate relations between Christian residents and the new Muslim rulers of the mid-seventh century CE. "Almost accidentally we discovered a stain obscuring the cross on the front of the weight. 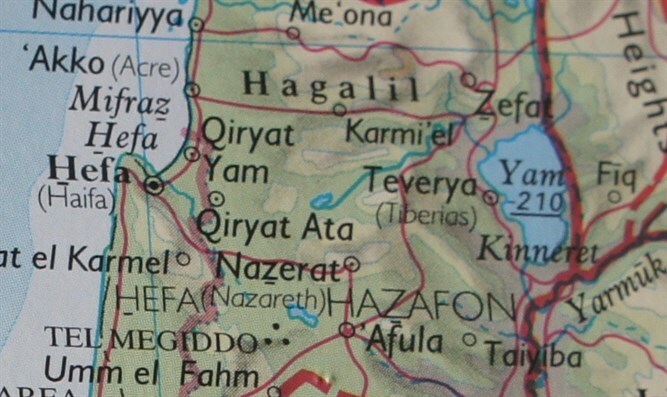 At first we were sure it was dirt, but actually the religious-Christian symbol was deliberately covered by the Christian population itself so it could continue to be used in interactions with the new Muslim authorities," said Michael Eisenberg of the Institute of Archaeology at the University of Haifa, head of the Susita excavation expedition. 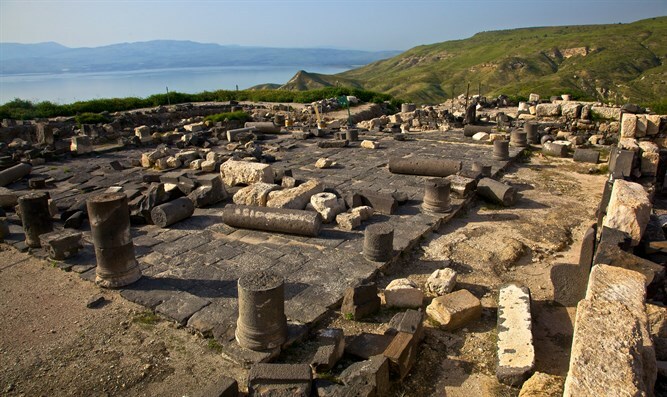 Susita National Park, under management of the Israel Nature and Parks Authority, was excavated by a delegation from the Institute of Archaeology of the University of Haifa beginning in 2000. Susita was established in the second century BCE and later became a main city during the Roman and Byzantine periods. 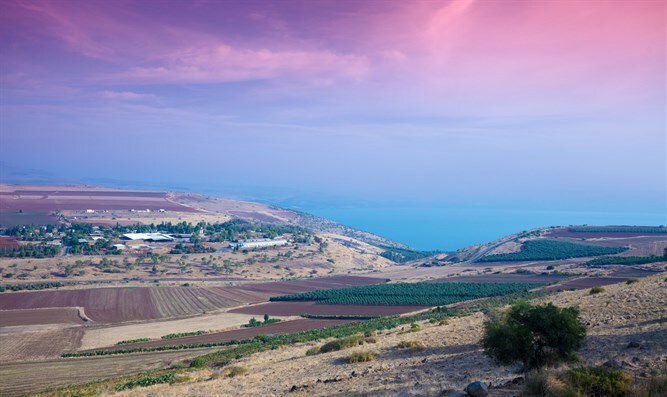 The city was devastated by the fierce earthquake of 749, when the Land of Israel was ruled by the first Islamic Caliphate from the Umayyad Dynasty that conquered the country in the middle of the seventh century. In the northwestern church complex Dr. Bradley discovered a small brass weight from the Byzantine period. Similar weights have been found in the past, and also this one was sent without any special expectations to Haifa University Archaeology Institute Preservation Laboratory Director Dr. Alexander Yermolin. A few weeks later Dr. Yermolin got back to Dr. Eisenberg with a message - a strange dark stain on the front of the weight had concealed a silver-stamped crucifix, with the rest of the weight's decorated parts left unconcealed. "At first we thought it was random dirt and we were just going to remove the dark stain and continue the preservation work, but something smelled suspicious and we decided to stop," said Dr. Eisenberg. 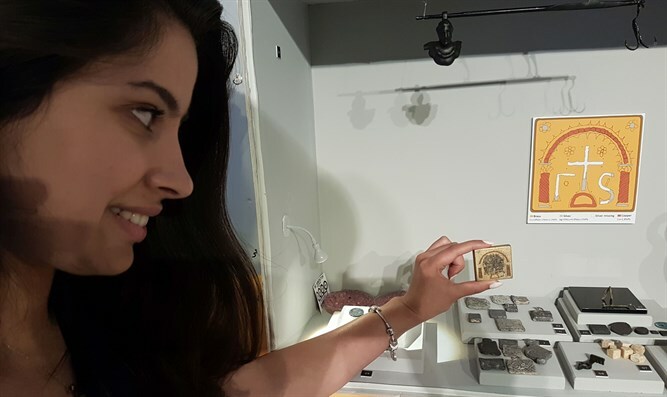 Instead of removing the stain, they transferred the weight to Professor Sariel Shalev of the University of Haifa, an expert in the study of antique metals. After performing a chemical assay of the weight and stain, he discovered that while the weight was brass, the stain was made of metal paste composed of lead and tin, and that it was deliberately smeared over the cross. "The melting temperature of the paste is about one-third that of the other weight components. Since the people at the time had excellent knowledge of engraving, it was clear that the stain was intentionally placed there. Also, small pieces of the silver cross were removed to compensate for the extra material and keep the weight unchanged. It's doubtful this is a coincidence," said Prof. Shalev. In the last stage, Radiological and Ultrasonic Imaging were performed in the laboratories of the Soreq Nuclear Research Center by Dr. Itzik Hershko, Dr. Dan Breitman, and Dr. Tzvia Shmol to determine how the unique ornaments on the weight were produced. At the end of the laboratory tests, it underwent a complete preservation process, and was returned to look almost as it was 1,500 years ago: Its dimensions are 45 x 43 mm and it weighs 158.9 grams. On its front is a silver-stamped cross on a semi-circular base. Two Greek letters stamped on the weight indicated its value: 6 ounces. The decoration on the front of the weight symbolizes the cross on Golgotha ​​Hill, the site of the crucifixion in Jerusalem, while the arch and columns depict the Church of the Holy Sepulcher in Jerusalem. Now researchers had to determine why someone covered the cross - without destroying the weight but continuing to use it for its original purpose. According to Dr. Eisenberg, the reason is apparently due to the Muslim conquest of the country in the middle of the seventh century CE. On the one hand, the Muslims allowed Christian residents to continue their worship, but whatever religious tolerance they displayed had its limits. 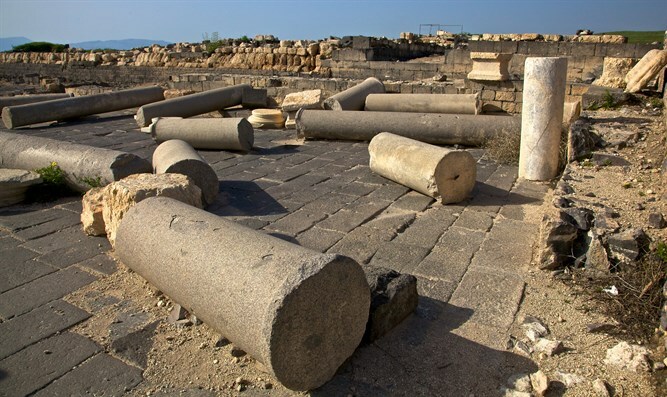 "The cross was deliberately covered by the church during the Early Islamic period so they could use this weight and the other weights at their official value in the city's central church while working with the Muslim governor in Tiberias. This is precisely the line that can be drawn during this period of regime change, between considerable religious and cultural freedom, and the point where a Muslim official was forced to hold a distinctly Christian symbol," concludes Dr. Eisenberg.